Serge Gnabry has hit the target in his first five Bundesliga away games. Serge Gnabry has terrorised defences on the road, RB Leipzig have blazed a trail, and Vedad Ibisevic has joined a select club of foreign-born stars. Read on for the Matchday 12 stat-attack! Whip your Official Fantasy Bundesliga team into shape here! For the first time in Bundesliga history Borussia Dortmund substituted three players at exactly the same time. There were four draws over the weekend - the most times the points have been shared this season. 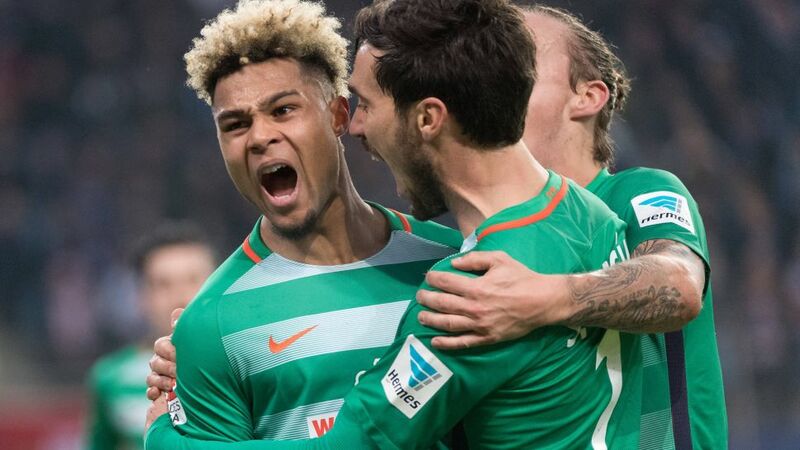 SV Werder Bremen star Serge Gnabry has scored in his first five Bundesliga away games. The last player to manage that feat was Steffen Baumgart for FC Hansa Rostock back in the 1995/96 season. 1. FC Köln have been waiting for a win against FC Augsburg for six Bundesliga games, and have only won three of a possible 18 points against the Swabian Bavarians. RB Leipzig are the only team to have won their last seven Bundesliga matches. It is the first time such a run has ever been put together by a promoted club. With just 10 goals conceded after 12 matchdays, Eintracht Frankfurt have set a club record. FC Ingolstadt 04 conceded a season record 20 shots against VfL Wolfsburg. Ingolstadt also hit the woodwork three times for the first time in their history. Mats Hummels scored his first FC Bayern München goal. It was his 20th Bundesliga strike overall. Vedad Ibisevic became the sixth foreign-born player to score 100 Bundesliga goals, after Claudio Pizarro, Giovane Elber, Robert Lewandowski, Stephane Chapuisat and Ailton. The opening goal against Hertha Berlin was 1. FSV Mainz 05’s 100th Bundesliga goal. Click here for the Matchday 12 Round-up! Click here for the Matchday 12 Talking Points!